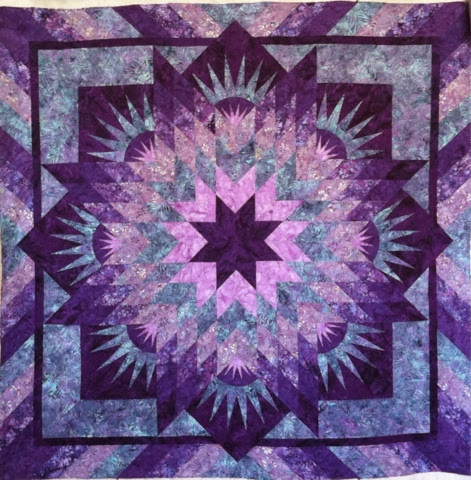 Cactus Quilters: One More Lonestar Down! 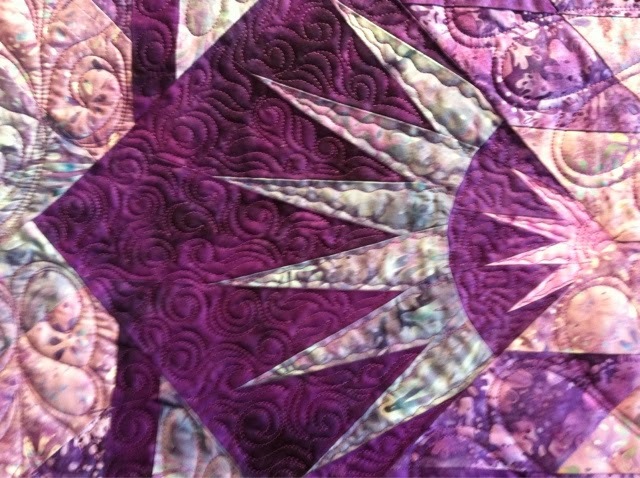 Here's a close up of the feathers in the star. Maybe I should take some photo taking classes! Not my best shots here. 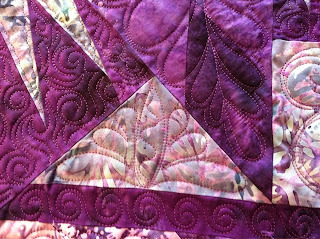 Still a beautiful quilt! 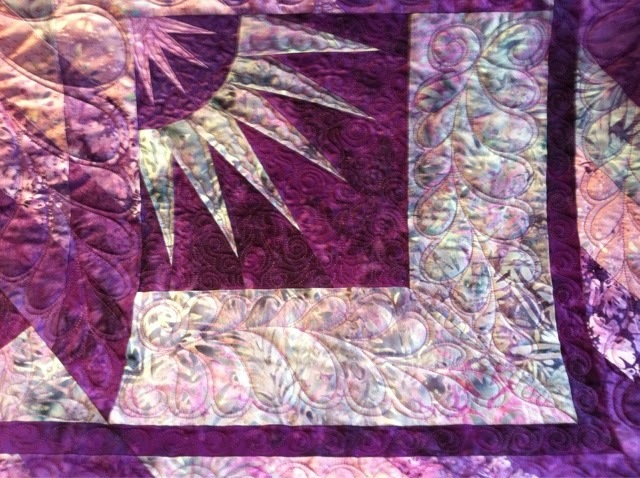 I am honored to quilt these quilts! 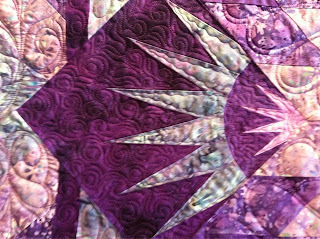 Quilting with stitch in the ditch is a marvellous method of quilting in its own right but also a great confidence booster before you attempt free motion machine quilting. 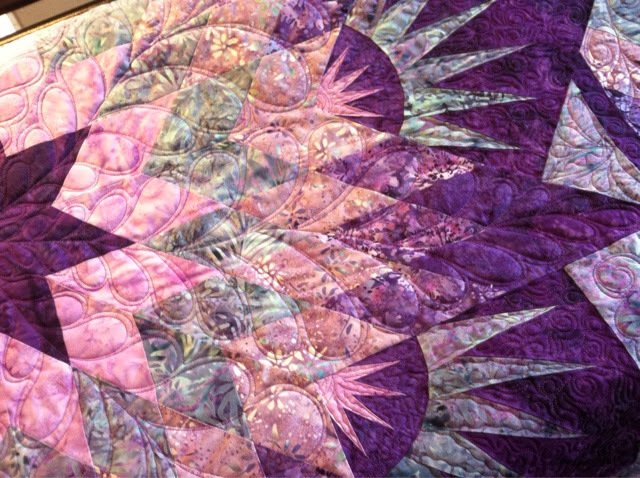 Its so cool! I must tell you that I am gonna copy this whole.. 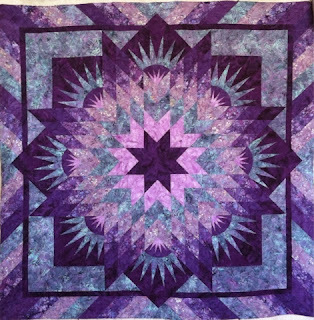 So pretty.The good news / bad news about quilting designs is that there are really no rules - only things that happen when you put quilting stitches in your quilt. Therefore, designing your quilting pattern, much like designing your quilt top, is very much an issue of personal taste and your idea of your final quilt.